Walter Taylor’s beautiful church | Write-now! Down in suburban Graceville is a white-iced confection of a church. It was bequeathed to the area by the remarkable Walter Taylor. This is its story and a small chapter of his, too. 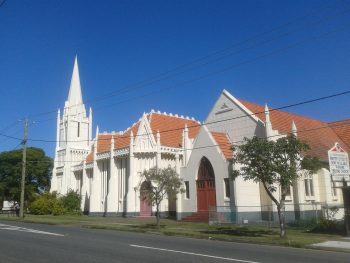 Walter Taylor leaves an indelible mark on Brisbane, passing on a legacy of buildings, small and large, as well as the bridge that connects the suburbs of Graceville and Chelmer – his home turf – to much of Brisbane. Read more here.